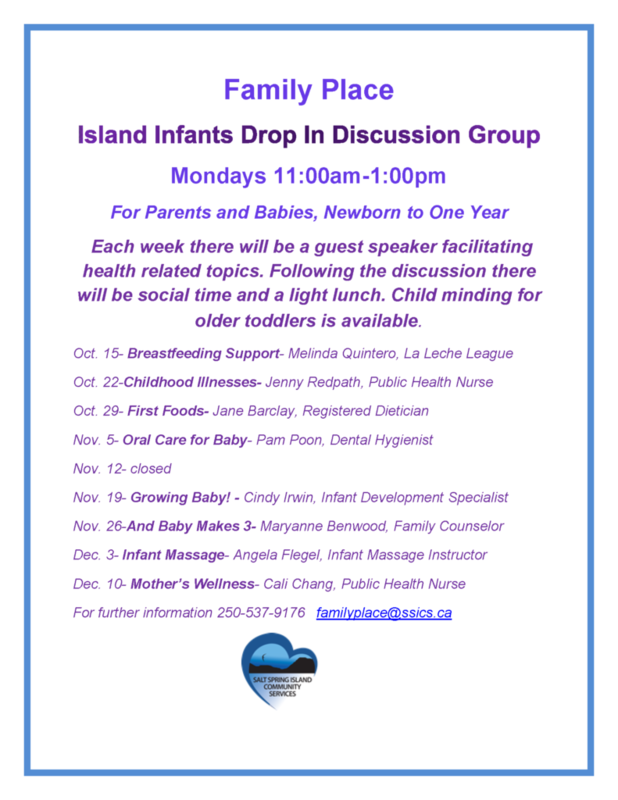 Each week there will be a guest speaker facilitating health related topics. Following the discussion there will be social time and a light lunch. Child minding for older toddlers is available.